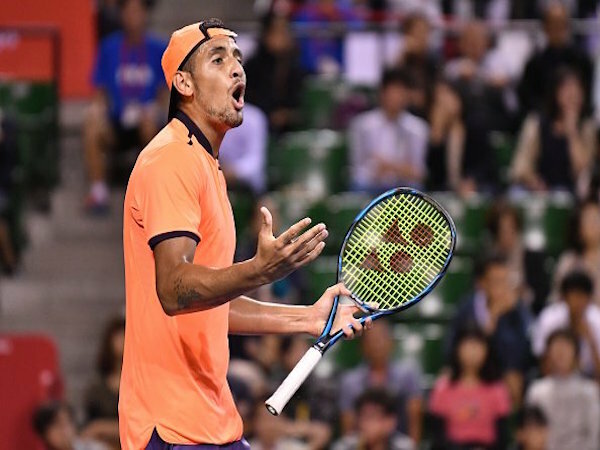 The headlines just continue to follow Nick Kyrgios wherever he goes and the Break Point Podcast panel is here to bring you all the news after his suspension. Join Joel and Val as they discuss where Kyrgios will go after his eight week suspension and if the ban is long enough. The duo also talk about Andy Murray after his win in Shanghai and whether he can reach his goal of becoming world number one within the next year. The panel also review the updated rankings with many large risers and sliders from both the ATP and WTA. Finally, Joel and Val preview the upcoming ATP events in Moscow, Antwerp and Stockholm, along with the WTA tournaments in Moscow and Luxembourg.